Instagram captions are a big part of successful post, even a great picture with a poor caption won’t hit your target audience. So what to put in the caption? A quote, an emoji or a call-to-action? Below you can find a guide to help you to learn more about different captions, when and how to use them and what can make your post successful. Even though it sometimes seems more important to focus on the photo content than on the caption, it shouldn’t be that way. With the help of good captions you can get your posts to the top and maybe even on the Explore page so they will be seen by more people. 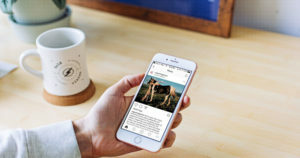 Due to the new Instagram algorithm, posts with a lot of activity (likes, comments, reposts) get to the top of the photo feed, as Instagram considers such posts of a high quality. The algorithm will show such post on people’s feed, and if it gets a lot of attention, it will go to the Explore Page. 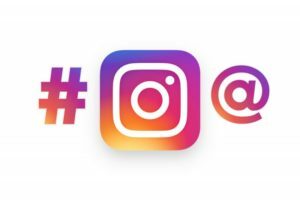 To engage your followers into a discussion, write Instagram captions with call-to-actions (CTAs). Try to balance high-quality picture content and captions that will attract people to leave their comments. There is no one single recipe for a great caption, as some of them can be super long or consist of just a few words; some might be touching, some funny, some smart. The only way you can find out if your captions are good is to look at the activity: if people leave comments and engage in discussions - you are doing just fine. Also,don’t rely on your spontaneous creativity and try to plan your posts. Think about not only pictures you will post, but also prepare captions in advance, you may rewrite them, add or delete something to make it perfect. Adding a call-to-action to some of your captions is a perfect way to invite followers to write a response, comment their opinion and make them more active. Actions can vary from following another Instagram account to buying your product. Think about the special words that may attract your followers’ attention and inspire them to act, like “begin”, “try”, “stop” and more. Put the call-to-action up in the beginning of your caption, if you want to make it long. This way people won’t miss the important info. Also, try to make the first line as engaging as possible, so more people will read the post till the end and respond to it. Ask people to tell some facts about themselves or their opinion on some important topic; if you are conducting a giveaway, ask the followers to tag their friends under the post, this will attract more people to your brand. Emojis can also help to catch an Instagram user’s eye and to intrigue. Hashtags are another option to draw people’s attention to your Instagram account. They also help to interact with your audience, receive a feedback, look through the content made by your followers and establish deep connection with them. 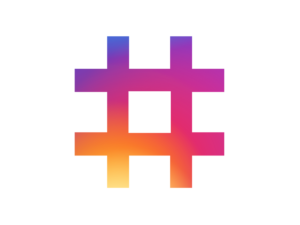 Hashtags were originally used to organize Instagram posts, put them in a specific category to make it easy to search. For instance, travel bloggers can use hashtags with the country or city names, or something like #instatravel, #budgettravelling. Even though hashtags are really nice feature, too many of them in the caption usually looks spammy. Stick to 4-5 main hashtags that best describe your picture. If you want to add more hashtags, put them into the first comment, not the caption. This will help people to concentrate more on the caption message rather than tons of hashtags.